So many downloads this week ! I will have a review of Best of Solitaire up later today ! Shantae and the Pirate’s Curse is a great game and on sale , I highly recommend buying the game if you haven't already. In Chariot, players guide a chariot containing the King’s remains through underground caves using ph ... 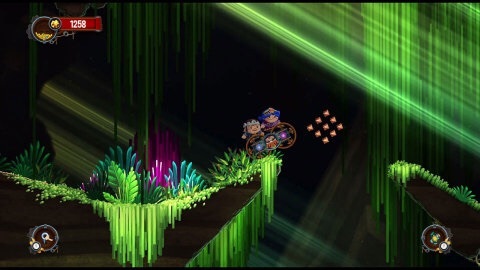 In Chariot, players guide a chariot containing the King’s remains through underground caves using physics-based mechanics such as pushing, pulling, riding and swinging. Nintendo eShop on Wii U CHARIOT – Guide a chariot containing the King’s remains through underground caves using physics-based mechanics such as pushing, pulling, riding and swinging. Alone or with a friend, lead the brave Princess and her faithful Fiancé into the royal catacombs to find a resting place for the King. Click here to watch a trailer for the game. 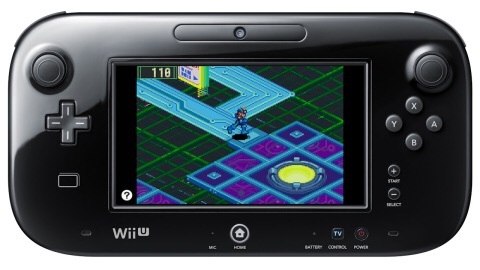 Virtual Console on Wii U MEGA MAN BATTLE NETWORK 2 – Lan and his NetNavi MegaMan.EXE return in this second chapter of the Battle Network universe. Purchase supplies and exchange information in local NetSquares, battle an assortment of enemy viruses in real time and collect Battle Chips as rewards to equip new abilities. Get ready for a new adventure in cyberspace as you stop this latest virus from spreading.